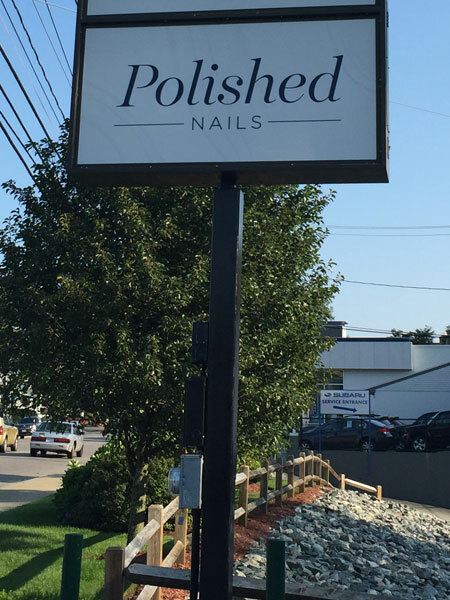 Polished Nails is your local nail salon that values high quality nail and beauty care with cleanliness and hygiene. Our mission is to provide our clients with the best quality services while maintaining a sterile environment and experience. 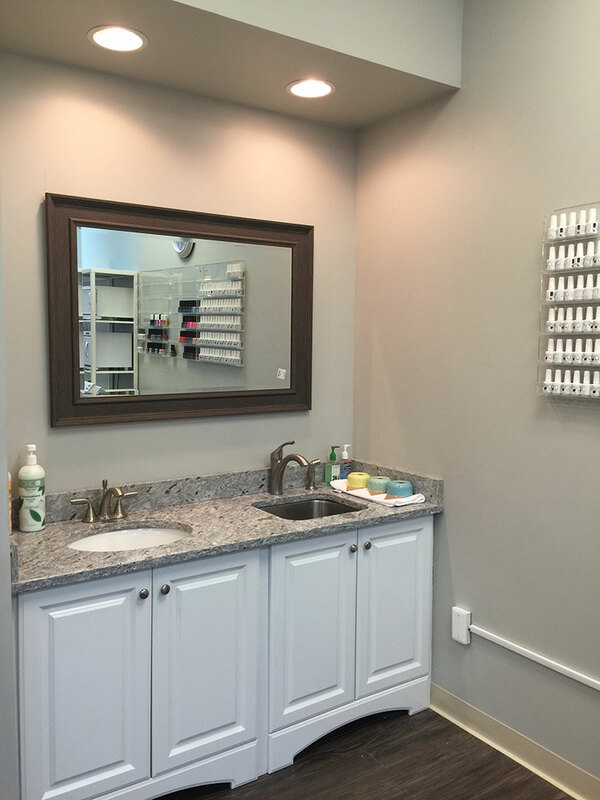 All nail files and buffers are disposed after each use, and tools are sterilized for each client with our autoclave. 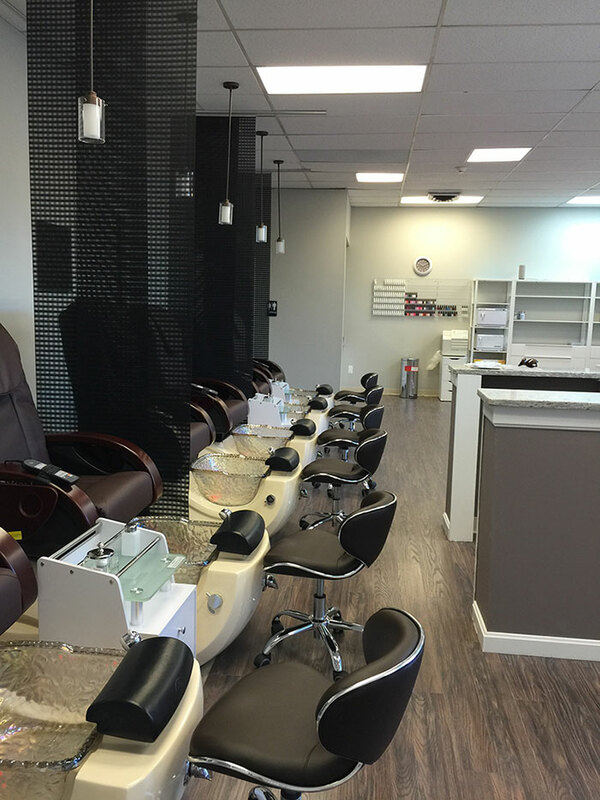 Each pedicure tub is lined with disposable liners and changed after each pedicure. 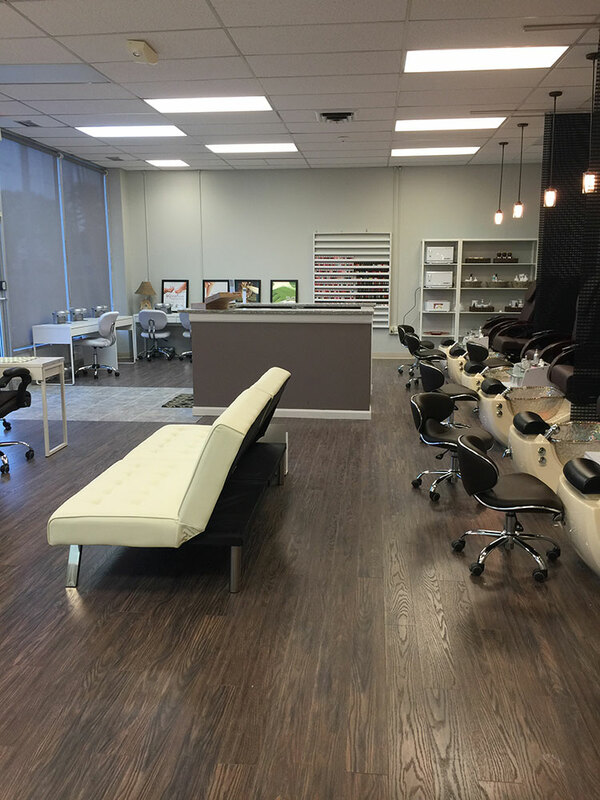 Our modern 1400 square feet nail salon features 6 massage pedicure chairs and 6 manicure stations. 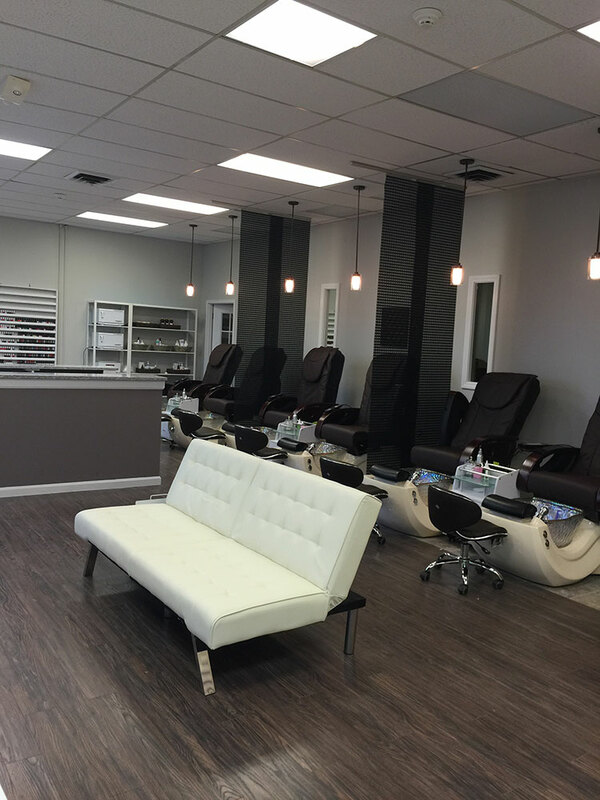 All spa pedicures provide a different purpose to maximize your spa experience. Walk-ins are welcome. 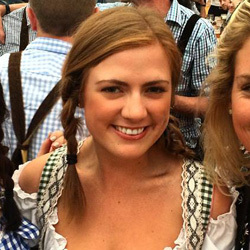 Contact us to book group events and parties. Spa manicure with exfoliating scrub, hot stones, and keratin gloves to hydrate, strengthen, and protect the hands. Spa manicure with exfoliating scrub, hot stones, herbal rich tea, and paraffin alternative with essential oils to energize and revitalize the hands. Clients can choose either callus removal or 10 minute leg/foot massage. Stress relieving foot treatment with Organic Herbal Tea and Clay to nourish, hydrate, and soothe your tired feet. Includes 20 minute foot massage. Calm and detox your feet with the lavender spa pedicure. The powerful antioxidants in lavender will counteract irritated and rough skin, leaving your feet smooth & relaxed. Includes 15 minute massage. Strengthen and reactivate your skin with the mango or blueberry spa pedicure. Includes 15 minute massage. SA pedicure to exfoliate and cleanse your skin naturally & organically. Includes 15 minute massage. Heal your feet with our green tea or pomegranate spa pedicure. Both green tea and pomegranate are high in antioxidants, restoring and soothing your skin with anti-aging healing properties. Includes 20 minute massage. Transform your pedicure into a spiritual awakening and rejuvenate your feet with Vitamin C and citric acid. Lemon salt, lemon scrub, lemon mud, lemon essential oil, lemon massage oil, and lemon cooling gel. Includes 20 minute massage. Treat your feet and experience the extraordinary skin-improving benefits of milk. Vitamins A, D, and antioxidants, leave your skin moisturized and silky soft. Includes 20 minute massage. Polished is the best salon I've ever been to! It's super clean, and the employees are so nice and do a fantastic job. 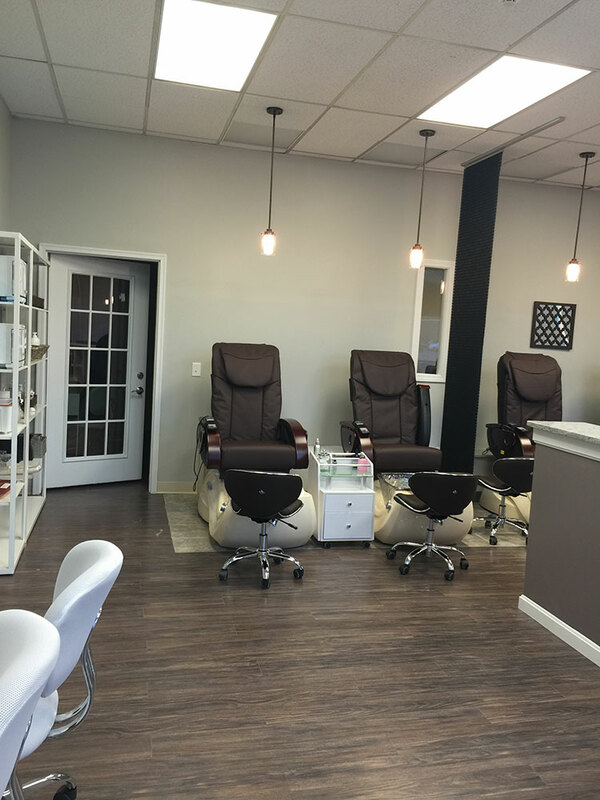 The salon is beautiful, there is an amazing nail polish color selection, and all the employees were incredibly nice and professional! Will definitely be back.